Have you ditched the cereals yet? Are you eating grain free granola yet? With sugary cereals these days being more akin to a dessert (in fact there is now a company that has set up a cereal bar and cafe) it really is time to give up these for good. So what do you have instead? Grain free granola that is packed with seeds, nuts, spices, coconut and nutrition. Read my other post on the 5 myths surrounding breakfast cereals and watch the videos, because if you can understand what is wrong with breakfast cereals, you will understand what is wrong with modern food production. 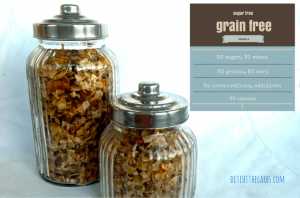 Once you get into the habit of making grain free granola, it really is incredibly simple to do. I know to buy a stash of coconut, seeds, nuts and whatever else I feel like throwing in the mix, then pop it all in a large roasting dish with coconut oil and some spices. The recipe below is purely a guide as to what I use but have fun and change the ingredients to things you really love. Vary the spices or flavours or even make a plain one then allow your family and children to sprinkle on some dried spices or cocoa to make it ‘their way’. The other grain free granola’s I have made are plain, cinnamon and chocolate but hands down this is my favourite. I even sprinkle more fennel seeds on my bowl before I eat it. 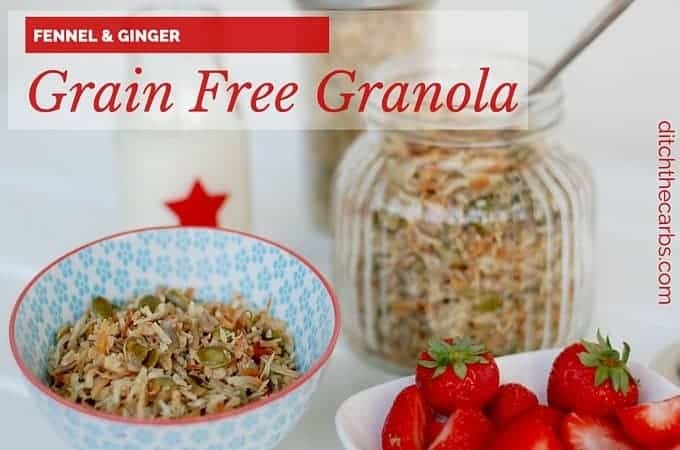 You can use grain free granola in many ways :: How do you use grain free granola? 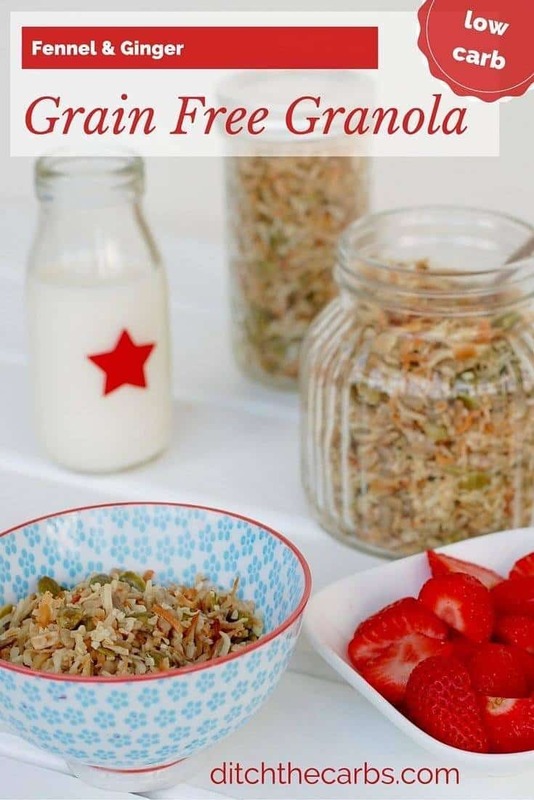 An incredibly easy and nutritious granola/muesli with no grains, no sugars and no nasties. Fennel and ginger grain free granola is just one in my series of grain free granola recipes. Which one will you try next? Place all the ingredients in a large roasting dish. Mix together with a large spoon. Bake in the oven at 180C/350F for 20 minutes but you must turn the mixture every 3-4 minutes. I set my timer each time I put it back in the oven as it is too darn easy to forget and lose an expensive batch of grain free granola if it accidentally burns. Serving size is 1/2 cup, aprox 43g. 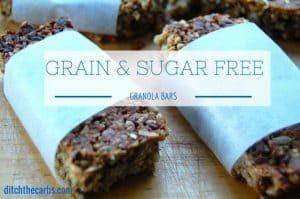 Try these grain free granolas also. Is there another flavour you would like me to develop next? WOW, I just made this and its the bomb !!! Yum, I cant wait for breakast. Just beautiful flavours and so easy to make. Why the need to add sweetener? 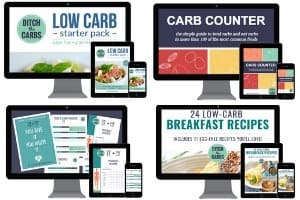 I’m seeing lots of recipes that continue to feed the “sweet” addiction that LCHF should be weaning people from. This was a tasty recipe. Thanks for sharing. I made a batch with slight alterations (walnuts in place of pumpkin seeds, and honey/ginger crystals as sweetener). Hubby enjoyed it too. It was the perfect textural component for a breakfast fruit bowl. Curious though, my sister is allergic to coconut (like death allergic). What would be a good substitute? Any ideas would be greatly appreciated! Love all your recipes, including that caramel bar. It was a nice treat after cutting out refined sugar. I hear of so many recently who are truly allergic to coconut. I am trying to make many of my recipes now to use either coconut flour or almond flour to cater for both. 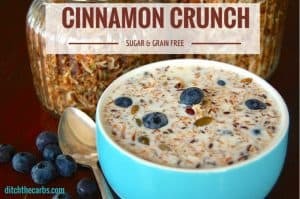 For this granola recipe however, the coconut makes up the bulk of the granola so you could perhaps try to make a similar granola just with the nuts and seeds that she can tolerate. The volume of the recipe would obviously be smaller, but it would become a lovely “nut sprinkle” to enjoy over unsweetened yoghurt, coconut cream and berries. You could also add some almond flour/meal if she can tolerate almonds. That wild help bulk it up. Why haven’t you answered the questions about the sweetner content of your recipe but you have answered other questions. I have been told that our brain does not recognise the difference between real sugars and alternative sweeteners. I have alot of belly fat so am clearly insulin resistant. Is what I have been told incorrect? or is it that if you are NOT insulin resistant you can get away with using sweeteners such as stevia. I am definitely a sugar addict and i crave it every day in every way. I am being particular about not eating but it would be fabulous to find out that i can in fact use the othr sweeteners!!! Just made this and it is incredible. With cream as a cereal, awesome. 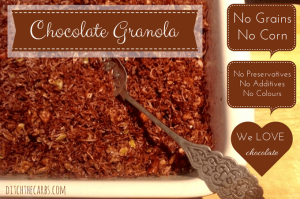 Added my chocolate fat bomb as a topping and made some grainola bars… delicious. Thanks, best recipes on the web. Libby – you are awesome! I make all of your recipes and we just love them. The granola…to die for❤️. You make yummy food medicine – many thanks from Toronto! I thought this was very, very good (subbed pecans, walnuts, pepitas, what I had in pantry). But the CHOCOLATE granola still is #1 in my heart! (and tummy!) Thank you for all the options! Without a doubt, De Winkel yoghurt. I think I currently have 4 x 1L sitting in my fridge. I buy in bulk when it’s on sale. My kids love it, they love adding frozen berries to it so they can take it to school. It’s always thick and creamy with only 0.8% carbs. Sure. I love natural unsweetened yoghurt. It is great with granola/muesli. Even add some coconut cream to increase the healthy fats and keep you fuller for longer. Hi I’ve been making my own granola for over a year now and have never put any type of sweetener in. Thats a lot of stevia in your recipe. 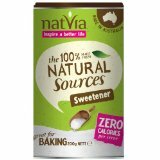 It might be natural but surely its better to wean yourself off the sweeteners? I’m pretty sure the day I made this, I only had 50g left in the pantry – you’ve discovered my secret 😉 You can easily add more and to be honest I don’t actually weigh it when I make this at home, I just throw everything in and it always turns out brilliantly. Feel free to add more or less to your liking. It is a pretty adaptable recipe. Hi Libby, I find it helpful to melt the coconut oil in a deep pan, then add all my spices and let them simmer for a couple of minutes. Then I add all the nuts, seeds etc and give them a good stir so they get a good coating of the flavored oil. After that I spread the mixture on a baking sheet and roast as per your instructions. I find it less messy that way! Thanks for all the great recipes! Thanks for the tips! I like the idea of coating the granola in the oil before baking, I’ll try to be more organised and try it that way next time. Yes, the recipe calls for shredded/desiccated coconut. Alternatively you can use coconut threads, chips or pieces – anything goes but the picture is the recipe exactly as written.